Kebbi State University of Science & Technology, Aliero (KSUSTA) First [1st] Batch Postgraduate Admission List for 2018/2019 Academic Session. 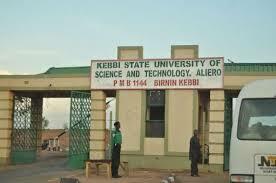 Authorities of the Kebbi State University of Science & Technology, Aliero (KSUSTA) Postgraduate School has released the first batch admission list for the 2018/2019 academic session. KSUSTA Postgraduate 1st batch admission list contains the names of candidates offered provisional admission into the university’s various Ph.D, M.Sc & PGD programmes. SEE ALSO: KSUSTA Postgraduate School Fees Schedule is Out 2018/2019.